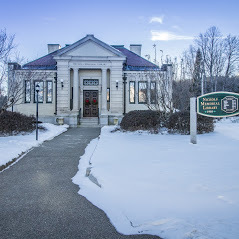 The Scrooge and Marley DVD Coop is a shared collection of DVDs shared by 12 public libraries in New Hampshire’s lakes region. The collection includes award winners, indie flicks, foreign films and documentaries. Each member library has a set of 30+ DVD for 2 months. At the end of the 2 month period, they exchange sets. Master List of SAM DVD’s. More about the SAM Coop, including it’s distinctive name, here.